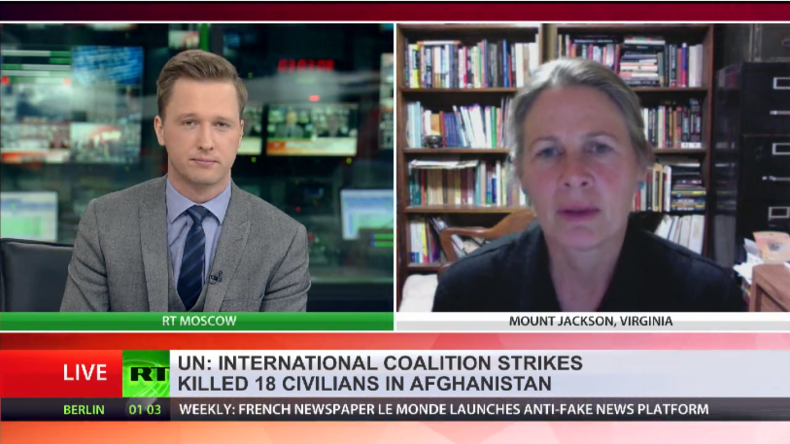 The so-called ‘collateral damage’ of US and coalition forces air-to-ground attacks in Afghanistan is driving the people into the hands of the opposition. 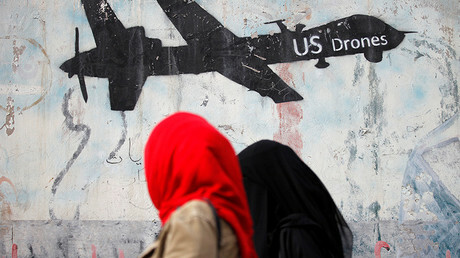 It is a fundamental problem, says former CIA officer and international lawyer Jack Rice. The United Nations confirmed 18 civilians were killed in airstrikes on Thursday and Friday conducted by the international military forces in Helmand’s Sangin District in Afghanistan. The attacks were reportedly targeting anti-government forces. The UN's initial inquiries suggest the airstrikes killed at least 18 civilians, nearly all women, and children. The UN did not specify which country was responsible. 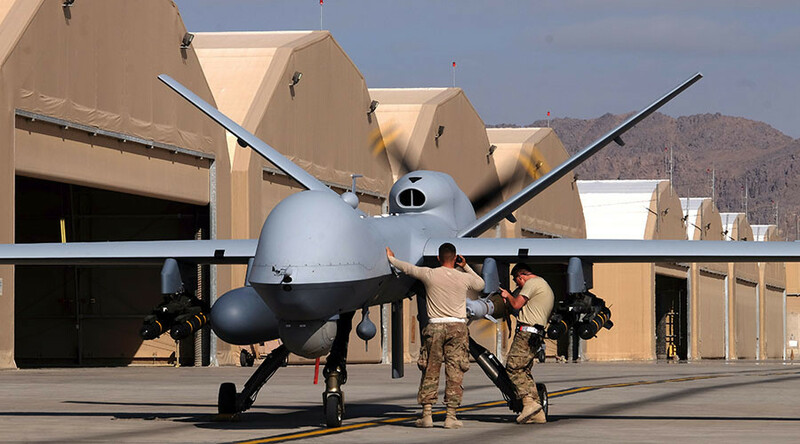 But according to the Pentagon, US warplanes completed 30 bombing raids in the area in the past week, including the strikes believed to have caused the civilian deaths. RT asked Jack Rice, former CIA officer and international lawyer who we should believe as the US and UN seem to be contradicting one another. “At this point, I think the UN is more accurate; what the Americans technically have said is that they will be doing further investigations on this. If we look at where the UN mission is on this, what they are claiming right now appears to be between 18 and 25, maybe more. But this really comes out just after the report that came out of the UN mission in Afghanistan that talks about more than 590 civilians being killed in 2016 alone. And it really highlights a very real problem for the coalition forces and Americans, in particular, have in the region,” Rice said. However, even if the US were to accept responsibility it’s unlikely that anyone would be held to account, the analyst said. 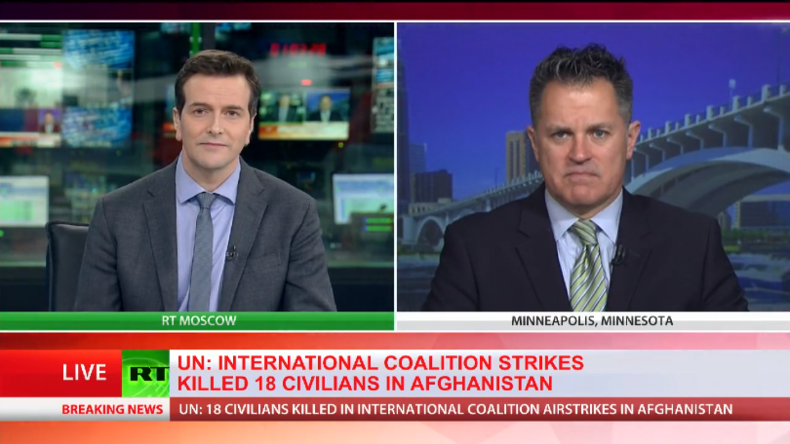 “You continue to see civilians killed in very large numbers – we’ve seen this across Afghanistan, we’ve seen this in northern Pakistan, in Yemen, in part of North Africa. And the real problem is that what you are doing is you are driving the populous into the hands of the opposing parties and to the opposition. And that really cuts exactly against what the Americans and coalition forces are claiming they want right now,” the former CIA officer said. 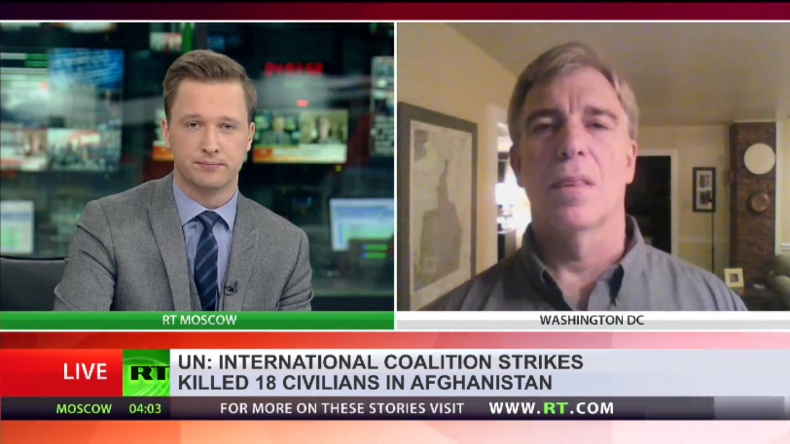 “The UN has a long history of tracking this type of thing in Afghanistan, so they are pretty professional at it. I think they are probably right. I am not sure how the US forces or NATO – I am not sure what they call evidence and what they require - what they may mean is that they haven’t done their own study confirming this. It is probably going to be more when it is done and has been counted… ‘Collateral damage’ – that is what they call it,” she continued. “Although, I think focusing on this is a little bit off the point. The Taliban kills about 75 percent civilians in Afghanistan. That doesn’t mean that 25 percent that the Afghan forces and the US forces kill are acceptable. The US should not be there in the first place, they should get out. I think that is the main issue here,” he added.